Spring break has sprung here and well, that means we are...not doing much. We aren't going anywhere and I have to admit that I'm pretty bummed out about it. I wish we were heading someplace warm or going on a road trip to someplace new and different. But nope, we are all just getting over our never ending colds, hoping the weather doesn't include more snow and hanging out at home. I'm trying to not be so womp. womp. about it all and generate some excitement about spring break. I hung up streamers and Wade and I painted a poster. Don't they look thrilled? Lol. They really were sort of into the streamers and Wade couldn't quit the noisemaker. 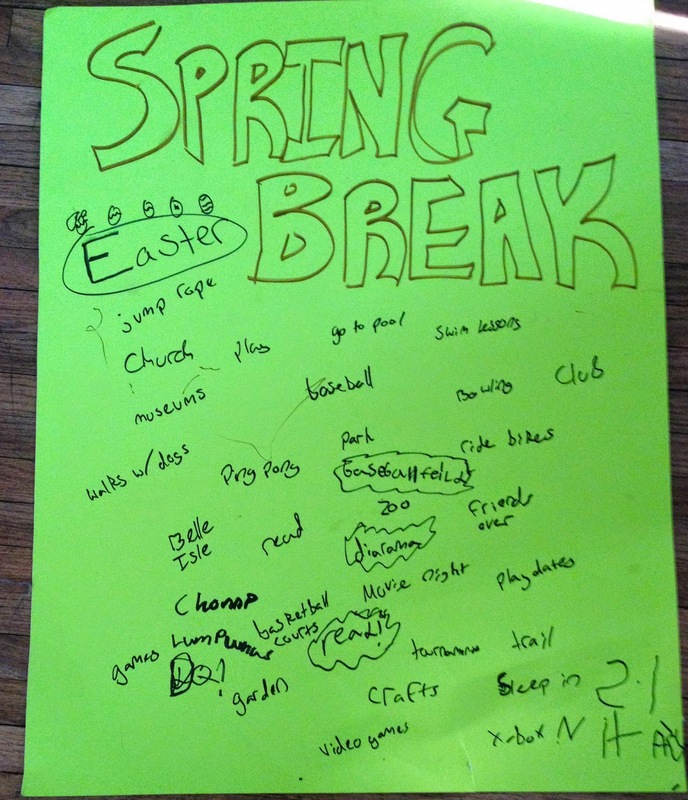 Then we sat down and made a list of things (that don't cost a lot) that we wanted to do on spring break. So here we go Spring Break 2015, full of hopefully fun free stuff and a whole lot of relaxing at home and trying not to be jealous of all the beach pictures on Facebook. 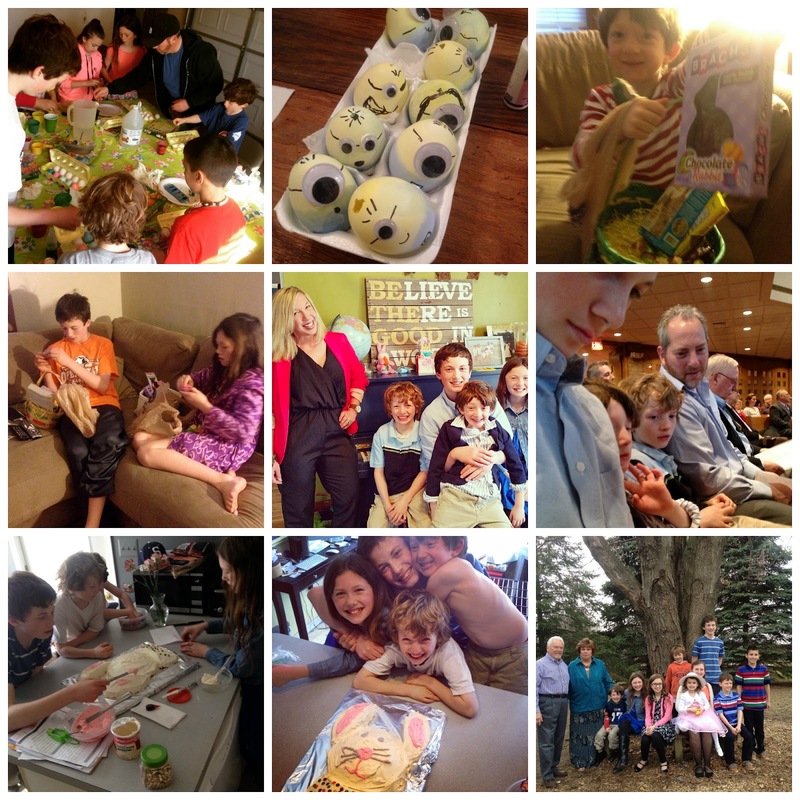 And of course this past weekend was full of Easter fun.